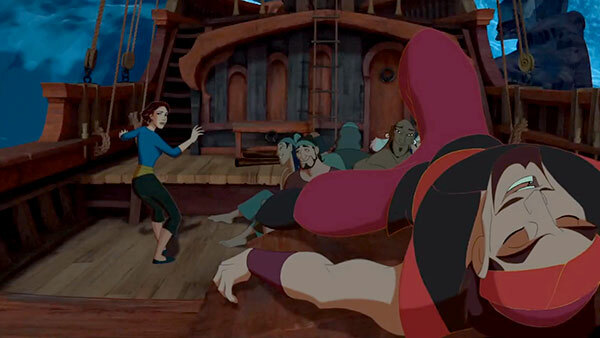 Sinbad is voiced by Brad Pitt and Marina by Catherine Zeta-Jones in this animated adventure. Is it good or is it bad? I have to watch it again to make sure if it works. I really like some stuff while the numerous anachronistic elements are a tad annoying. It's fun and colourful if a bit redundant.